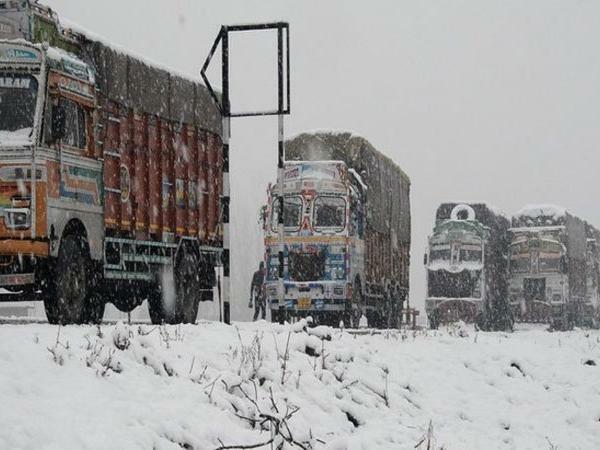 Srinagar: The Jammu-Srinagar highway remained closed for the third consecutive day Saturday due to fresh landslides at Banihal and Ramban areas. A fresh landslide hit the road this morning while the debris clearance operation of earlier landslides was still going on, a traffic police official said. He said that no traffic will be allowed on the highway till it is absolutely safe. Closure of the highway has resulted in shortages of essential supplies in the valley. Over 100 stranded tankers carrying petroleum products for the Kashmir Valley crossed the Jawahar Tunnel late on Friday.